The influence of growing up in hospitality is immediately apparent when you meet Angela Clark. Warm, gracious and helpful, she is clearly comfortable around people. She is also manifestly comfortable working with numbers, which her previous roles as sales secretary and in banking will attest. As office accounts manager for McDonald Upton, Angela occupies a position of great trust and responsibility, a fact she acknowledges, treating the business with as much care and consideration as if it were her own. As a long time employee, Angela has seen the company grow and develop into the specialist agency it is today, citing local knowledge and the commitment to outstanding service as catalysts for suc-cess. 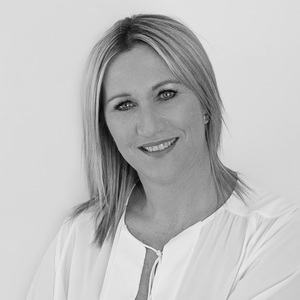 Angela’s extensive experience and industry knowledge make her integral to the smooth running of the business. Working long hours is second nature, with a strong personal work ethic seeing Angela checking in on her days off. Ever busy even in her down time, Angela and her family are all enthusiastic volun-teers at the Aberfeldie Football Club where son, Tom, plays in the under 18’s. Ange-la de-stresses with regular walks along the Maribyrnong River, often with her beau-tiful daughter, Georgia. But the ultimate relaxation remains yearly shopping trips to Bali to top up the handbag and shoe collection. She’s quietly counting down the days!